Video games have come a long way since the days of Atari, but for many kids, with improved graphics comes trouble. Game consoles are smaller and more portable than ever, meaning it's now easier for your children to play anywhere – whether it be on a family vacation or during a Sunday visit to your parents' house. Some parents may be struggling to wrestle the games away from their kids, but believe it or not, there are several ways to do so. 1. Be firm. 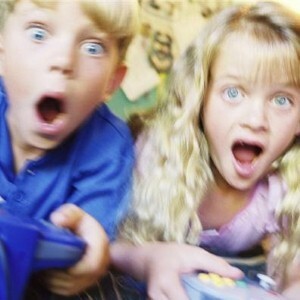 Sticking with a strict time limit on video games is perhaps the most effective way to curtail excessive play. Set a timer at the beginning of their session and make them adhere to the parameters – or else suffer a days-long ban on the system all together. 2. Suggest other activities. Maybe the reason your son or daughter is attached to his or her virtual world is because there's a lack of other options. Invite your little tyke to go outside with you, help with other chores or read a book together. 3. Location, location, location. Having a Playstation 3 in your son or daughter's room can be a dangerous move, as it often leads kids to play unsupervised for hours. Likewise, make a rule that any portable device needs to be left out of their bedroom.